All structures have a lifespan – from your home itself to all the little extras, including vinyl decks, patios, roof decks, etc. The tricky part is deciding whether it’s time for your deck to get renovated, or replaced. Fortunately, Tuff Industries can help you with that decision. The major indicator that your deck is failing is rot. A thorough deck inspection should reveal whether there are spongy sections where wood can be pried away. You can also check for separation between the deck ledger and the main structure, loose bolts, screws, or nails, or any sign of water damage. If a thorough inspection indicates that the deck is still structurally sound, then you can simply replace the deck surface (or recover a wood surface) to extend the lifespan of your deck. Minor issues can be attended to, such as replacing a board that’s failing, or more firmly attaching the deck ledger, railings, staircases, etc. Simply replacing a vinyl deck surface, or installing a new vinyl membrane over a wood deck, is a cost-effective solution. However, even though the vinyl decking you install can last 10 or 20 years, it’s important to consider the lifespan of the deck itself. If the deck only has 10 years left on it, then it might be a wiser, long-term solution to invest in a deck replacement. Replacing an older deck is a wise choice – not only does it offer a safer, long-term solution, it also enhances the value and beauty of your home. 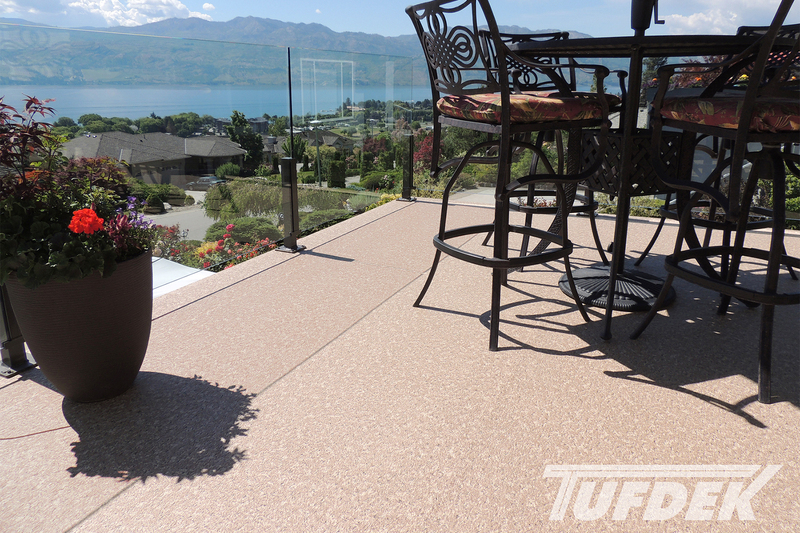 While it will cost more up front, over the lifespan of your deck you’ll have less issues requiring repair or attention. 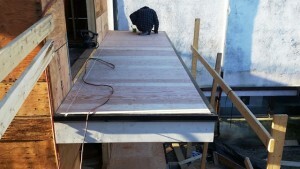 Of course, how long your new deck lasts depends entirely on your choice of materials. Choosing high quality materials will not only protect your deck and your home by increasing waterproof properties, it will provide a longer deck lifespan. You can extend the lifespan of a lot of structures and surfaces with a vinyl membrane. A roof deck, which must be waterproofed above and beyond to protect your home, can benefit from a PVC vinyl membrane. Patios too, even pool decks. By installing a vinyl surface you can protect what’s underneath, which in turn helps it last longer. When choosing a vinyl deck surface for your deck renovation or replacement, take a long hard look at vinyl deck warranties. Not all vinyl membranes are equal – you’ll want to find the one that offers the best balance of price and protection, as well as ensuring that you are covered if anything goes wrong. Go with a vinyl deck installation company that you can trust and you’ll end up with a vinyl deck that looks great, is safe, and will last for many, many years. Don’t put it off, get your vinyl deck project started today. 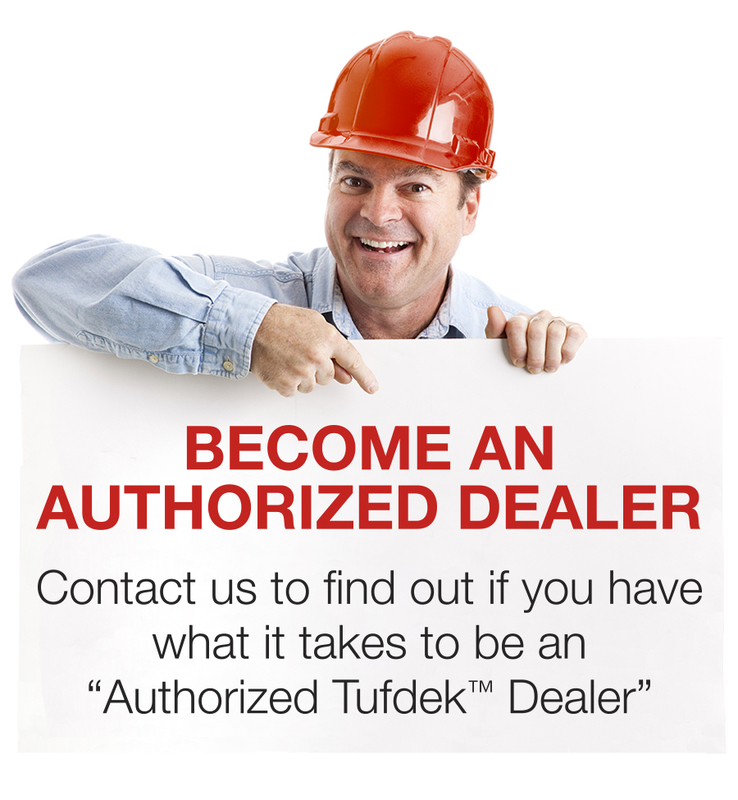 Tufdek™ can help.